Voted as a World Heritage Site by UNESCO for its landscape; the Neapolitan Riviera is a great mix of mesmerising mountains that lead into glittering seas and stunning vertical scenes of picturesque towns and lush forest. The Amalfi Coast has long been renowned for its incredible vistas but it has much more to offer than just stunning views. Aside from its outstanding natural beauty, many towns offer a unique cultural window into the people of this coast. From shops selling local wares and fresh produce to superb restaurants that make the most of mouth wateringly fresh ingredients, you can easily while away mornings amongst the old buildings. For those who prefer a more active holiday, the Neapolitan Riviera is a hot spot for avid hikers. With a range of walks, the Amalfi Coast caters to the most experienced walker and the novice alike. With those crystalline waters it is almost impossible to not go for a swim, so while in the area, treat yourself to a water sport experience and enjoy those beautiful blue waters first hand. 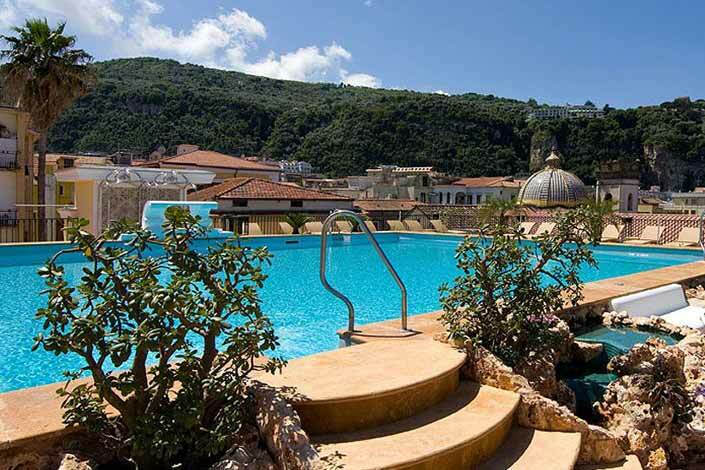 Browse below our top three favourite hotels in the Neapolitan Riviera. The Amalfi Coast sits in the region of Campania, on the coast south of Naples. The Amalfi coast has to be one of Europe's loveliest landscapes. The coastal road winds along the mountainside, where breathtaking view after view constantly unfolds. Many of the coastal towns have a ‘Riviera’ or holiday feel about them and rely heavily on tourism. The Amalfi Coast has always been a magnet for the rich and famous, and has provided a romantic backdrop for many a Hollywood film. Naples is a bustling city and somewhat chaotic, like the nature of its inhabitants. Don’t miss the archaeological National Museum which contains fascinating artefacts recovered from Pompeii and Herculaneum, and the Capodimonte Art Gallery which houses a magnificent collection from the 14th to the 18th century. Positano was discovered during the 1950’s and in 1959 made the bikini socially acceptable. 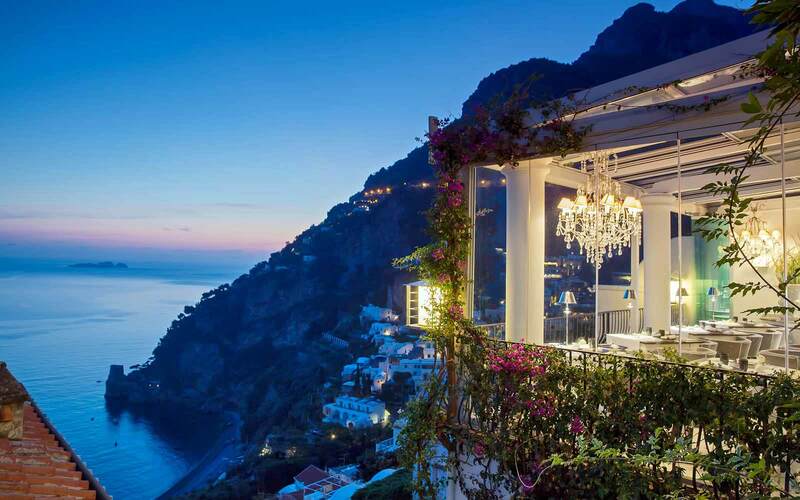 With its pretty pastel coloured buildings tumbling down the mountain side and its chic hotels and boutiques, Positano still attracts its fair share of celebrities. Peaceful Ravello sits high up overlooking Amalfi, and is prized for its beautiful villas, pretty central square and breathtaking coastal views. Sorrento is the quintessential holiday resort of the Amalfi coast. It is an excellent base for getting out and about, with a good bus service to the other towns along the coast. In summer one can take the boat or hydrofoil across to the islands of Ischia and Capri, which makes for a delightful day trip. Better still, one can book a 2-centre and combine the mainland with one of these lovely islands. Travel to this region and you must see the ancient sites of Pompeii and Herculaneum. Take your time as the sites are large and there are so many interesting things to see. Naples is the home of the 'pizza' and birthplace of the ‘Pizza Margherita’, which traditionally is made with Mozzarella di Buffalo, ripe tomatoes and basil, representing the colours of the Italian flag. The Pizza was created for Queen Margherita when she visited the city. Fresh fish, vegetables and pasta, feature heavily in Campania’s cuisine. The pasta is mostly home made and is amongst the most varied and best quality in Italy. Come for history, for chic towns and for beautiful coastal scenery. The Neapolitan Riviera has it all. Whilst staying in Positano Mick Jagger and Keith Richards wrote the song Midnight Rambler in a local cafe in 1968. Each of the three sea stacks (Faraglioni) in Capri has its own name. The first one is called Stella, the second Faraglione di Mezzo, and the third one Faraglione di Fuori.